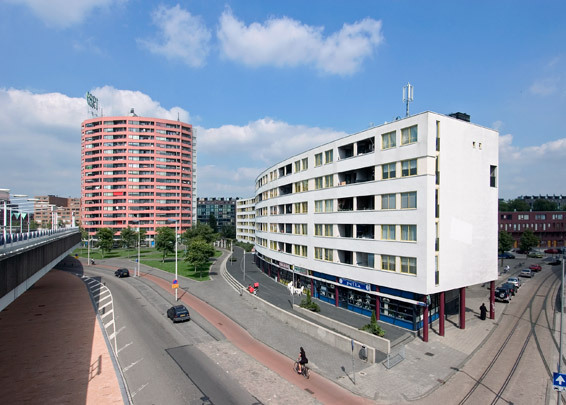 Terminating the triangular Afrikaanderwijk area of Rotterdam, this complex consists of a fan-shaped tower looking out over the docks, an undulating block with a gateway and an L-shape completing a perimeter block. This sensitively designed ensemble makes reference to the formal syntax of the moderns; the 16-storey residential tower bears strong similarities to Aalto's Neue Vahr in Bremen. The complex demonstrates that social housing can also lead to high-quality architecture, and so it should.